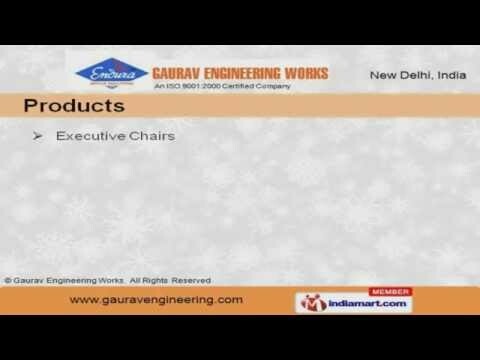 Welcome to Gaurav Engineering Works. Provides Stylish and Durable Furniture. We are an ISO 9001:2000 certified company, established in 1994. Our products arewidely sold under the brand name Endura. Customization, competitive pricing and customer focused approach are the factors thathelp us to stay ahead of our competitors. We offer a vast range of Executive Chairs, Cafeteria Furniture and ModularWorkstations. Our Modular Workstations and accessories are extremely reliable. Executive Chairs offered by us are widely appreciated in the market. Our Accessories for Modular Workstations are best in the industry. We also provide Office and Computer Chairs that are some of our best selling products. Along with that we offer Cafeteria Furniture that are available in excellent designs.